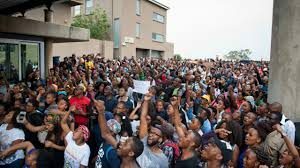 What students don’t seem to realise is that the militant fight for space and place in tertiary institutions may not give them the imaged experience, satisfaction nor get them the degrees and jobs they dream of – it is an illusory quest. Although one might not sympathise with these students, one has to acknowledge their plight. In South Africa they find themselves in a society where education and training has been sacrificed at the altar of politicians’ greed. South Africans have been robbed blind by this kleptocracy. There is no money left for education or anything else. However, instead of focusing on the negative stats and figures, I’d like to suggest that the youth and educators change their somewhat outmoded, irrational mindset and try a new approach to preparing for the world of work and job finding. We don’t even know what jobs there’ll be on offer in five years’ time, so we can’t say ‘what’ they should learn, but we can develop skills of ‘how’ to think and work. By the way, I loathe the term ‘soft skills’ because I know from experience that these are the core skills needed to carry out all workplace tasks. 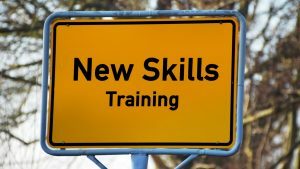 So, even if we can’t forecast the ‘what’ of future work at least we know the ‘how’ – using skills that can be applied, transferred and implemented in every job, no matter what you do. So students, think again, look ahead and decide what will really be of more use to you in your quest for meaningful work. Look for training opportunities that give you what you – and our country – really need. This entry was posted in Analysis and Advice, Education and Training, In the Media, Language, Learning and Liaison, Leadership, Self development, Social Conversations, The Media and politics and tagged academic institutions, corruption, creativity, critical thinking, development, education, education budget, emotional intelligence, kleptocracy, management, politicians, soft skills, student demands, student protests, training, university closures, workplace skills on Feb 12, 2019 by Dee.